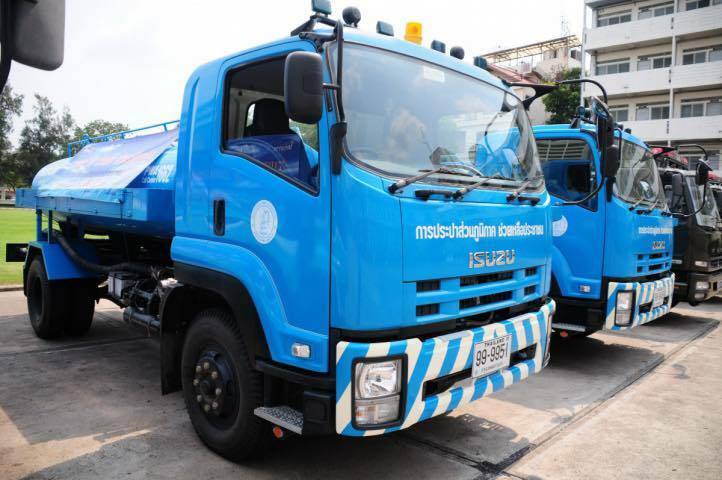 PHUKET: Residents across Phuket left high and dry without mains water supply due to reduced pressure can now call local authorities to have free emergency water delivered to their homes. 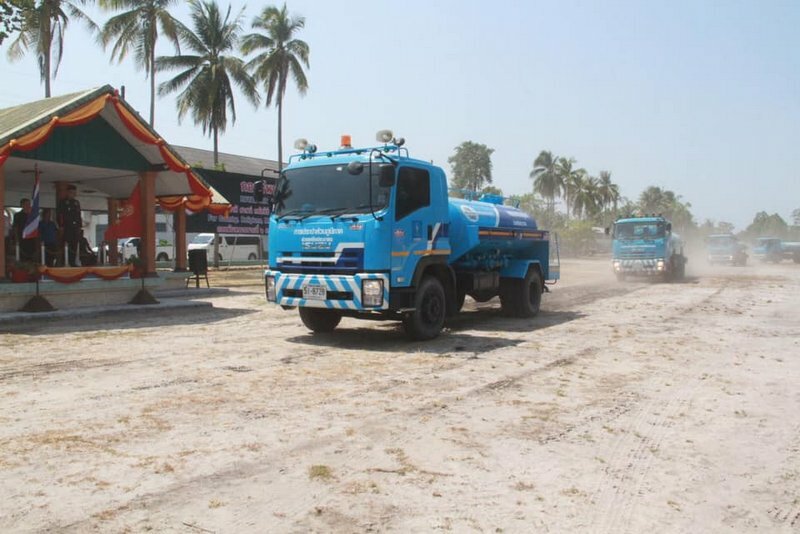 Phuket Waterworks Authority (PWA) Chief Graison Mahamad confirmed the news today (Mar 22) after PWA emergency water supply trucks were deployed elsewhere throughout Southern Thailand. 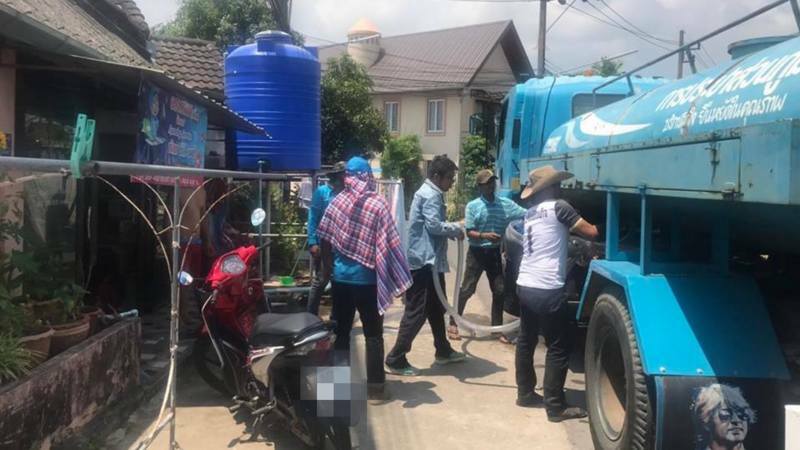 The PWA relief water supply trucks started delivering water to drought-stricken homes in Nakhon Sri Thammarat and Surat Thani yesterday, with the assistance of Royal Thai Army soldiers. “We now have free emergency water for residents,” Phuket PWA Chief Mr Graison told The Phuket News. “The PWA will deliver free emergency water to people in Rassada, which is on high land, where the mains water pressure is not enough to ensure running water supply,” he said. “We are supplying the water from the main Bang Wad reservoir only for now. Please call 076-319173. Water will be deliver between 8:30am and 4:30pm only,” he added. 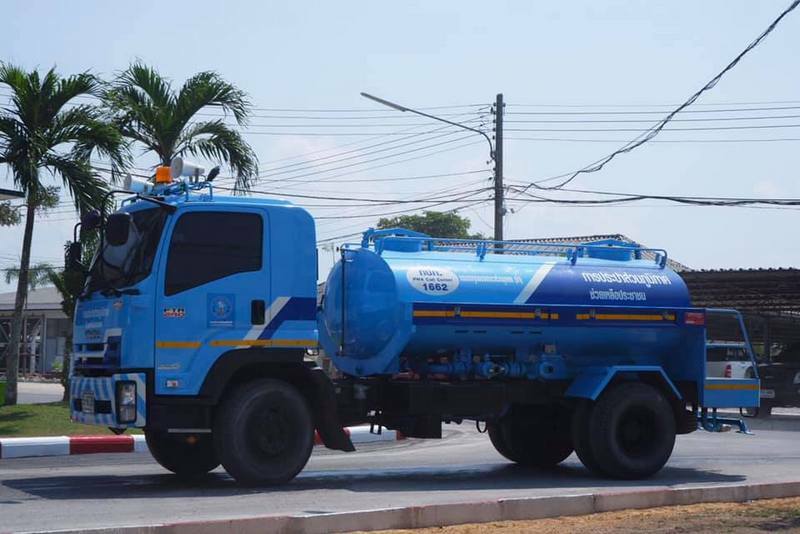 "The PWA has only three trucks – each can contain 6,000 litres – that we can use to deliver the water. We are looking into having more trucks at our disposal to use,” he said. 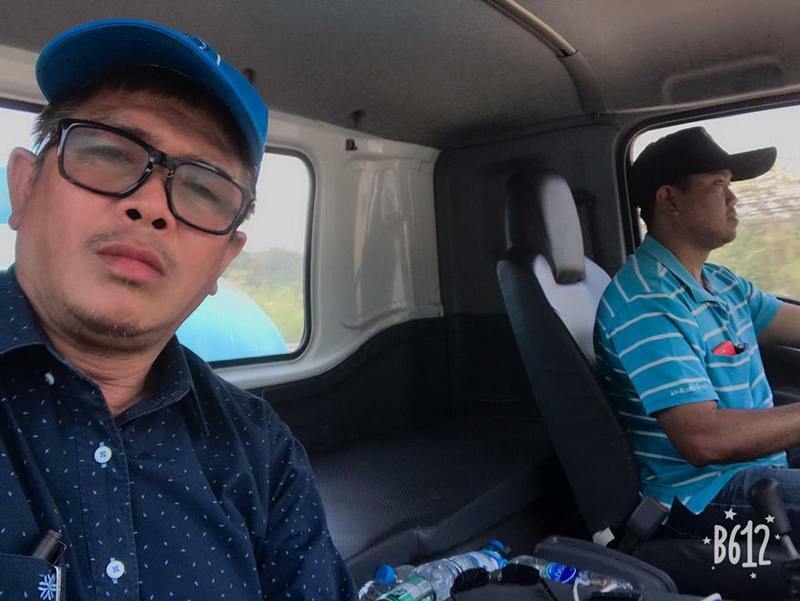 People outside Rassada suffering the same dry fate can contact their local municipality or tambon administration organisation (OrBorTor) for assistance, Mr Graisorn explained. “PWA staffers are working with OrBorTor and municipalities about providing water to residents in need in those areas. I will provide more updates later.” he said. Mr Graisorn explained that water pressure from the Bang Wad reservoir in Kathu – the island’s main water reserve – has been reduced by the Phuket Irrigation Department in order to conserve as much water as possible. 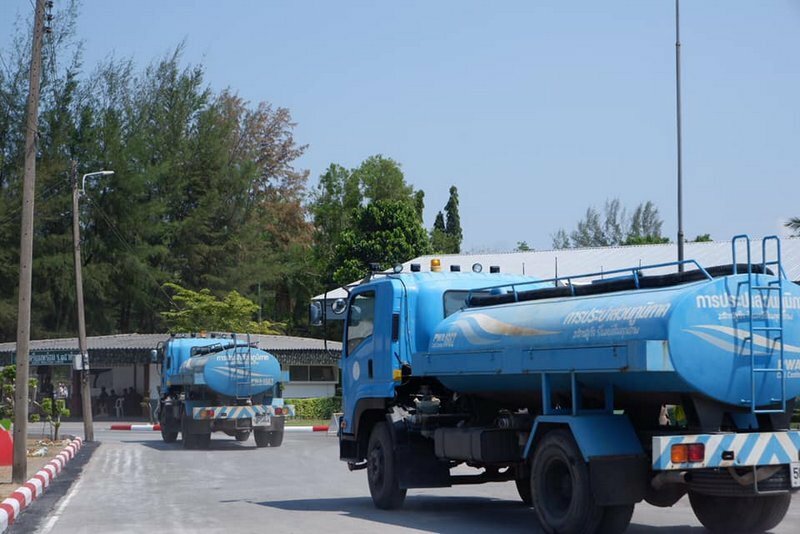 “The Phuket Irrigation Office have reduced the water pressure from Bang Wad from 1,175 cubic metres of water per day down to only 1,000 m3 per day. This is to save water until the end of May,” he said. Mr Graisorn pointed out that pumping reduced pressure into the water mains will take its toll on the pipes. “The change in water pressure can lead to breakages in pipes,” he said. Mr Graisorn urged people to report any broken pipes they are aware of, by all the PWA on 076-319173, 082-7901634 or the PWA Call Centre on 1662. Mr Graison also urged people to conserve water use as much as possible. “Please save as much water as you can. Normally, one person uses water about 200 litres a day. Please reduce this 150 lites a day by closing taps at any time that running water is not being used. “Also, please don’t wash your cars as often as you usually do. This can save a lot of water,” he said. Another advice for ... how to save water: Keep all your excrement in the  toilet bowl and flush it once a day. Good for your concerns and other people have more water.And don't refill your pool anymore too. "Am i the only person who patrols on Phuket?" No, ......does it many times daily too. "We now have free emergency water for residents," and so it bloody well should be. "“The Phuket Irrigation Office have reduced the water pressure from Bang Wad from 1,175 cubic metres of water per day down to only 1,000 m3 per day," this is NOT water "pressure", it is the quantity/amount/flow, in other words running out of water... quickly. One can only but laugh at Proff k.
Car & motorbike wash centres are still fully operational, so why ask private people not to wash their car? Government, go ahead first, set a example,  and limit the car wash centres in operational times with daily a half day! Start water management!! Phuket suffers a water crisis! Does Authorities understand what a Phuket without water is? Stop Ostrich Syndrome 'thinking'. 200 liters water per person per day? So, a family of 5 use 1 metric ton water per day? That is unbelievable nonsense. Adjust the release from toilet water reservoir with 30%. Close tap when you brush teeth. When having shower: Rinse body 30 seconds, close tap, soap/scrub yourself, than rinse again 1 minute. Are the Phuket golf courses already participating/ordered with a 60-70% reduction? When are the Phuket Governors order water savings during Songkran? It is about time to instruct/educate people about it. While you brush your teeth, close the tap!